Healing Herbs - Greater Celandine. Therapeutic Uses of Greater Celandine. Called by the romans "Chelidonium", the gift of heaven , Greater Celandine is an ally of the liver. A historic confirmation of its qualities belongs to the great german painter Albrecht Dürer, who immortalized it in a painting, after using it to heal his liver. Digestive spasms - are effectively countered by the celandine tincture 3-4 spoons per day. Treatment is symptomatic, whenever the spasms occur. Certain substances contained in celandine herb (alkaloids), relax the smooth muscles of the digestive system. Biliary dyskinesia – Take celandine powder – a point of a knife, three times a day at 8 o’clock, 13 and 19 o’clock. Flollow this treatment time for 30 days, then take 10 days off, then you can resume it. It has an efficiency hardly equaled by any synthesis drug. Treatment is very effective for the prevention of biliary lithiasis. Indigestion and dyspepsia - according to medical research german JC Bauman, no medicine is more effective as celandine in handling problems related to digestion. Half a teaspoon of celandine tincture, administered 4 times daily, decreases the feeling of nausea, strongly stimulates the production of gastric juices and venom, eliminating the discomfort, the weight in the stomach from indigestion. Each celandine dose is taken 10 minutes before meal. The cure lasts for 3 weeks. Biliary migraine, migraine in general - take a teaspoon of celandine powder on an empty stomach, in single dose for 24 hours. The effects are downright spectacular: in less than an hour the bile is drained, headaches and feeling of nausea disappear, as well as excessive sensitivity to noise, to light and odors. Treatment is done occasionally when the headaches and other symptoms specific to migraine appear. Pancreatitis - this is a recipe that makes real miracles in this dangerous and difficult disease to treat: scald five grams of dried and shredded celandine in a liter (35 oz) of boiled water and leave the infusion 12 hours in an enameled vessel (the extract should not get in contact with metals). Ideal is to prepare the infusion at six o’clock at night and strain it at to six o’clock the next morning. Add 200 grams (7 oz) of locust tree honey or mixed flowers (no other kind) and blend well. Take a spoon of this preparation, hourly, before or after eating. After 2 months of treatment, the symptoms disappear. Diseases of the liver - folk medicine always known and has been confirmed by science: Greater Celandine is a great stimulating for the liver function. Is administered in the form of powder, a top of a knife (about 0.5 grams) 4 times daily in cures of 21 days, with 7-10 days of rest. It is an excellent remedy for people with liver disease resulting from intoxications and poisoning, infection with the hepatitis virus. 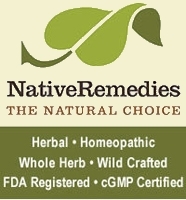 Oral herpes and genital herpes - are eficient countered, both internally and externally, with celandine tincture. Internally, administer a teaspoon of tincture three times a day for 12 days cures. For external use, combine celandine tincture, in equal proportions, with propolis tincture, and apply through drip (not by plugging with cotton wool) on the affected area, 4-6 times daily. The effects are fast and lasting. Cancer – The researchers from the former Soviet Union studied the effects celandine has on cancer and have created Ukrain , a semisynthetic derivative of celandine alkaloids conjugated with thiophosphoric acid. Their research show that celandine juice applied to affected areas of skin cancer or on exteriorized tumors, make real miracles, while powder administered internally improves the condition of the patients. Take a quarter of a teaspoon of celandine powder 4 times a day, for 2 months cures with 3 weeks break. It is a remedy with certain immunomodulatory effects (helps the immune system to destroy malignant cells) and a possible direct cytostatic action. According to Russian and Ukrainian researchers, greater celandine active substances are effective in pancreatic cancer, ovarian, pharyngeal, ano-rectal, colon, breast, liver. Pertussis - gargle with a combined infusion of celandine has a very effective calming effect. Gargle 4-6 times daily with warm infusion. Pharyngitis, laryngitis, neck infections in general - Mixe in a glass a combined infusion of celandine and a teaspoon of salt. Gargle 3 times a day for 3 minutes. Russian researchers say this infusion has extremely powerful antibiotic and antiviral effects, quickly eliminating infections from the neck. Infected wounds – put compresses with celandine tincture on the affected area and hold for 30 minutes. Repeat the process 2-3 times a day. Their efficiency is immediate. Russian researcher Vladimir Molochko studies demonstrate that celandine destroy pathogenic bacteria in the treated area, and manages to penetrate in depth the tissues, healing the infection completely. Infectious eczema – apply a celandine cataplasm for an hour a day. Treatment time is 3-4 weeks, and has excellent effects if, after the cataplasm is removed, the treated area is washed with undiluted tincture of propolis. Viral hepatitis - frenchman phytotherapist Maurice Messegue treated very effectively this disease, in a less usual way: with baths with combined infusion of celandine. Every night, put your hands and feet in a hot water bath, and put 1-2 liters (35-70 oz) of combined infusion of celandine. Hold each hand/foot for 15 minutes in the bath, then tampon easily with a towel (don’t rinse and don’t wipe dry). It is a gentle and effective treatment by which the assets of the plant are taken by the peripheral blood circulation and are transported in the liver, where they exert therapeutic action. Is obtained by squeezing fresh celandine stems. In this way you obtain an orange juice, extremely therapeuthic, which has a multitude of popular medical applications, most of them being also validated by the science. Usually, celandine juice is used externally, internally it has a toxic potential greater than dry celandine and as such is very difficult to use. Warts – in the morning and in the evening, put on the affected area celandine juice, several times in succession at intervals of half a minute. Don’t wash and let the juice to work in depth. Usually,in 2-6 weeks of daily treatment, the warts disappear. The remedy has proved efficient also in condilomatosis (small nodular, white tumors, extended usually from the genital area). Cataract – Oil the closed eyelids with celandine juice, leave it for 15 minutes, then wash. The treatment is done in the evening and has a great therapeutic efficiency for cataract, the tired eyes and hypermetropia. Skin cancer and exteriorized tumors – put celandine juice on the affected area and then covered with a piece of nylon. Treatment time is half an hour - one hour per day, as often as possible (ideally should be daily). The active cytostatic principles of celandine act in depth, inhibiting and destroying malignant cells. Ovarian cyst, cysts – oil the ovaries area skin (or other affected area) with fresh celandine juice and then massage easily, circular. The whole procedure lasts 10 minutes and is done the morning. Contraindications Do not give this plant to children under 12 years, pregnant or breastfeeding women. Administered in overdose (more than four grams of dry plant, taken daily by an adult of 75 kg) celandine cause gastroenteritis, cough, breathing problems, digestive spasms. In very high doses, can give temporary paralysis and cardiac disorders. In rare cases (until 2006 had been 30 reported cases worldwide), related to individual susceptibility, celandine can cause liver disorders and even hepatitis. These problems have occurred even if with normal doses, which is why treatment with celandine will be started gradually, with small doses and will be suspended as soon as symptoms appear such as nausea, inappetence, increase in volume of the liver, urine colore in red or cornea turned yellow. Applied on the skin, celandine (especially juice) may cause allergy, which is why, before the start of treatment test on a small area of integument and then use it in normal dose. Pick the aerial part of the plant (stem, leaves and flowers), with care not to uproot the plant, which will raise other strains. Harvesting is done on sunny days without rain. Immediately after collection, place the celandine stems to dry in a thin layer, in a shady place and free of moisture. From 500 grams (18 Oz) of fresh plant you get approximately 100 grams (3.5 Oz) of dried plant. Fresh stems have an orange juice (latex), which has important medicinal properties wich the dry plant no longer keeps. Is obtained by fine grinding the dry celandine strains with an electric coffee grinder. The powder is storaged in glass jars hermetically closed, in dark and cold places, for a maximum of 3 weeks (since the active principles oxidizes quickly). Usually is administered a quarter of spoon (about 1 g) 3-4 times a day on an empty stomach. Put 15 tablespoons of celandine powder in a jar thread, pour over two glasses (400 ml / 13.5 oz) of 50 degrees alcohol. Close the jar tightly and leave to soak for two weeks, after which filter. The resulting tincture is put in small dark color bottles. Take 50-100 drops diluted in some water four times a day. Put 3-4 tablespoons of shredded celandine to soak in a half of a liter (17 oz) of water (for 8-10 hours, then filter. Put the filtered infusion in a jar and boil the plant for five minutes more in a half of a liter of water, then let it cool and filter. Finally, mix the two extracts, obtaining approximately one liter (34 oz) of preparation, which is used mainly in external form of compresses, gargle and baths. A small handful of shredded leaves of celandine is left for 1-2 hours to soak in hot water (40-50gr.C / 105-120 Fahrenheit). Then apply it on the affected place, covered with a cloth. Leave it for 1 hour.